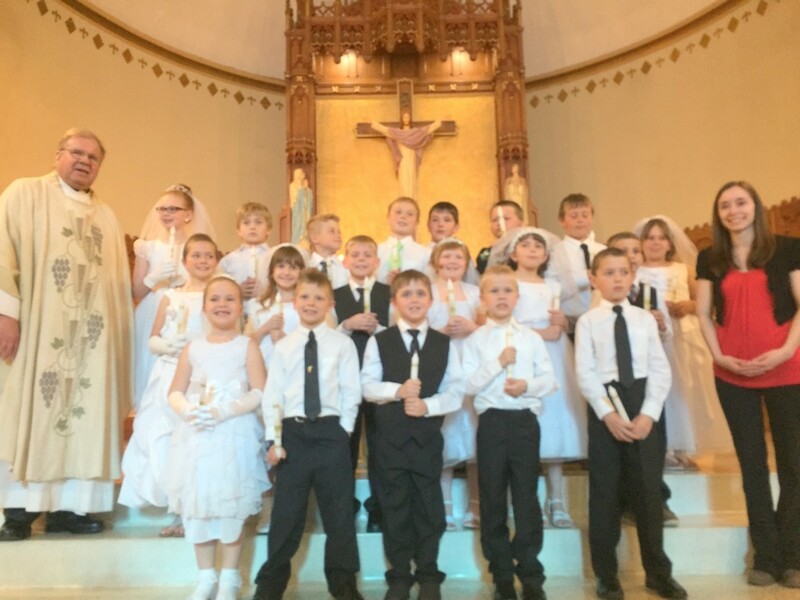 Congratulations to our second graders from St. Michael’s and Sacred Heart Parishes who received their first Holy Communion this past weekend! 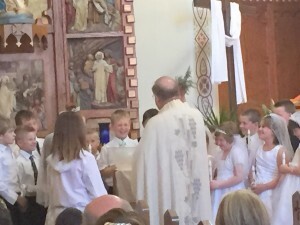 At Sacred Heart Area School, Mrs. Detloff spent the second half of the school year preparing students to receive the sacrament. 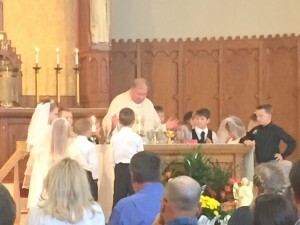 Great work Mrs. Detloff and the second grade boys and girls on all your hard work!